The Singapore Management University (SMU) Arts Festival is an annual showcase of creative expression through the arts. Featuring events comprising a range of art forms including music, dance, theatre, literary as well as visual arts, the festival provides a purposeful opportunity to bring the arts to the public audience. 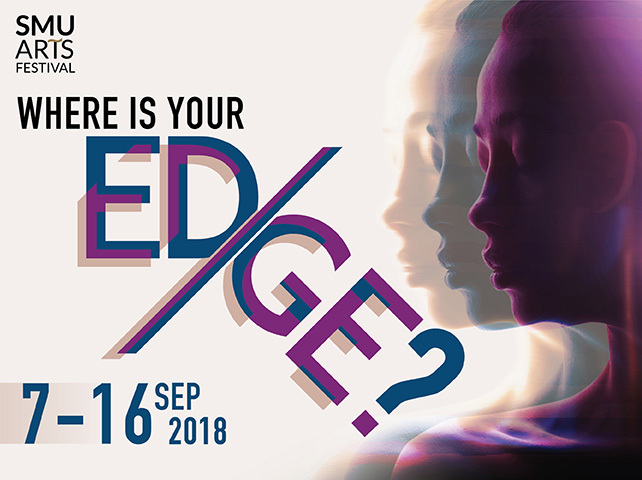 2018 marks the fourth edition of the festival, and this year’s programmes are based on the theme of Edge. With a total of 17 events throughout the festival period, participating clubs are challenged to push past their boundaries by creating works that interweave with 3 key interpretations of the theme – Where is your edge, What will push you off the edge, and Who is left behind on the edge.